Not All Moving Supplies Are Created Equal! Your one stop moving shop in Greater Nashville, Master Movers offers more than moving services. 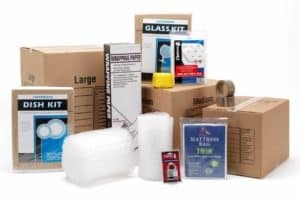 We also offer all the moving supplies you’ll need to ensure your move is easy and your belongings are as safe as possible. Don’t trust second hand and poorly made packages! Keep your belongings safe with specialty boxes for mirrors/paintings and all your other valuables. We have garment boxes built for moving your clothing while keeping it wrinkle free and we have protective packaging for your fragile items. Just give us a call with the dimensions and we will fit you with just the right box. *Free Delivery of your moving supplies with $100 minimum purchase.